Well it’s more like Before & During, not really “After” yet. But we are getting there. We have gotten a lot done in the nursery. 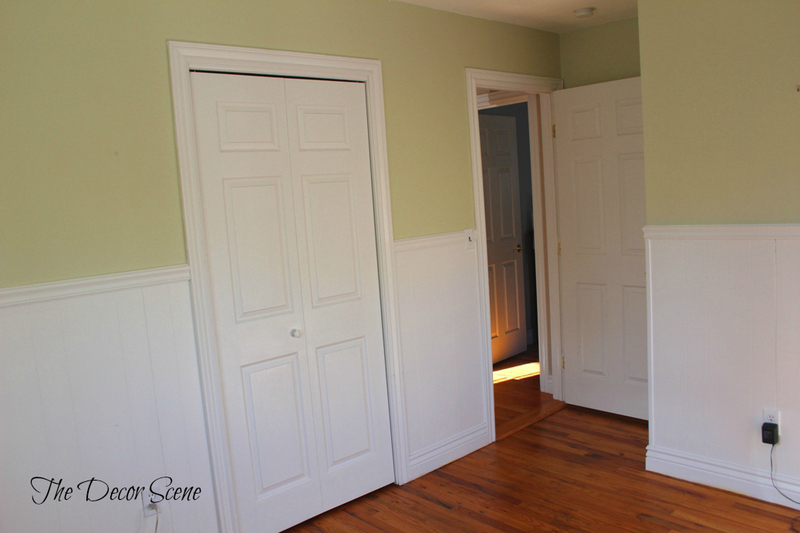 We took everything out of this room, fixed the walls a little, primed, painted, added crown molding, added a closet organizer and painted the inside of the closet. Now we are moving onto the furniture part of this make over. I will post about that soon. 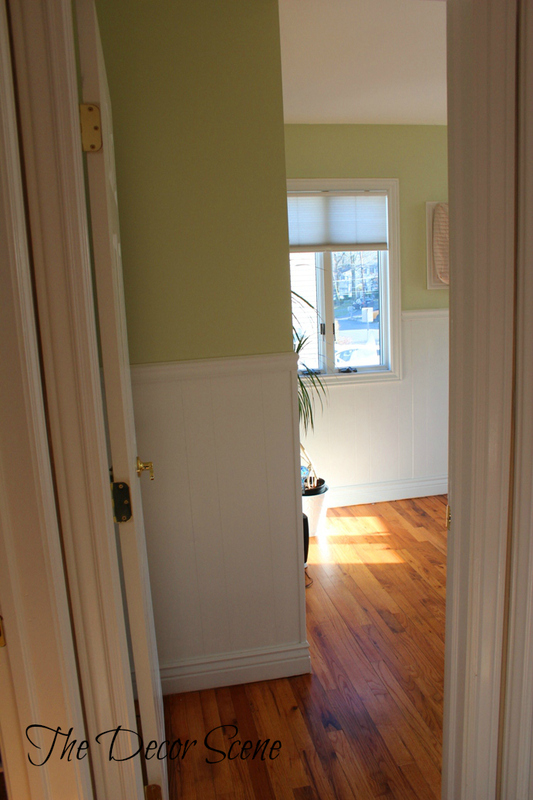 So here is what the 2nd bedroom…aka nursery looked liked for the last 6 years we have lived in our house. It was a light sage green. I always thought it was going to be the perfect color to go with a boy or girl when the time came. Well 6 years later and my taste has changed. Heck it was only half a wall that we would have to paint anyway, so what was the big deal. 😉 Well we painted the bottom half white again because it needed a new coat of paint. 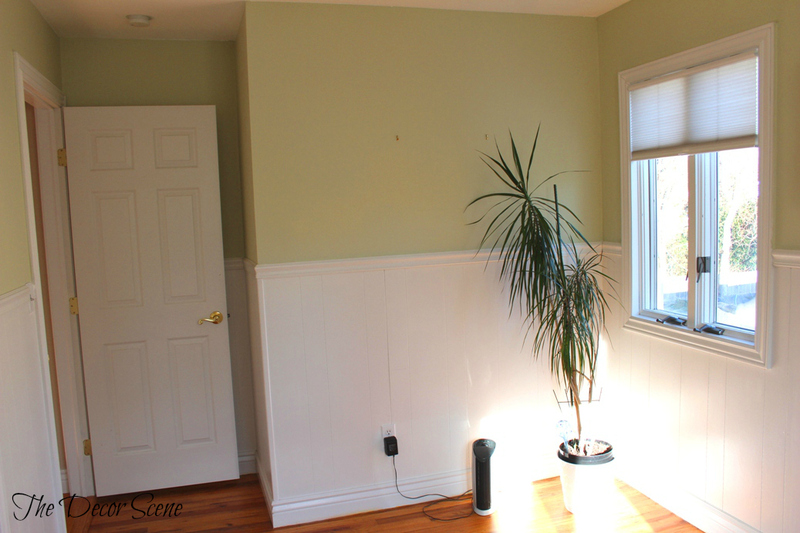 So all the trim and the wainscotting was repainted white. Valspar off the shelf Ultra White, no VOC, low order paint. Love it. It’s actually a paint and primer in one. Did a pretty good job!!! 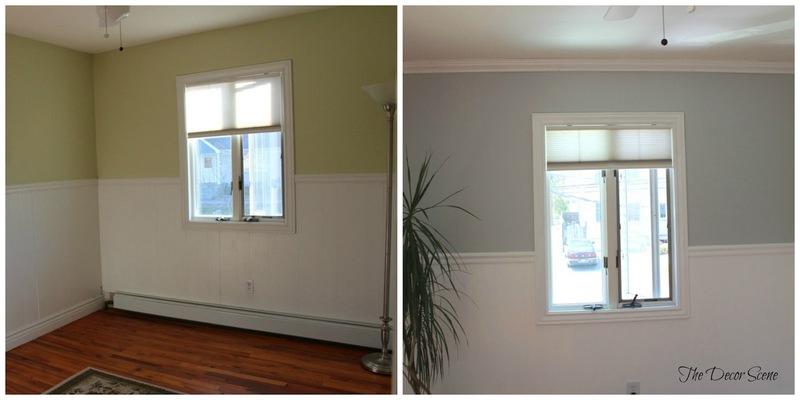 So I wanted to go with a neutral color on the top half of the wall. 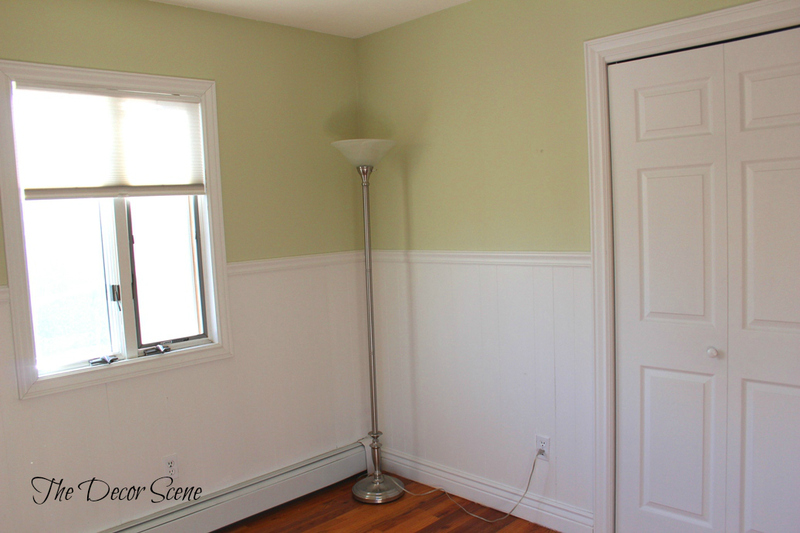 I wanted this room to be able to grow with our little girl. So I was on the hunt for the perfect true grey. I found it really quickly too. I thought it was going to take weeks and I was going to drive my sweet husband crazy. But we went and picked up Valspar samples and by the time the colors all dried, I knew which one I wanted. The lighter grey on the left. Valspar Bay Waves. LOVE IT!!! It was the perfect true grey for me. 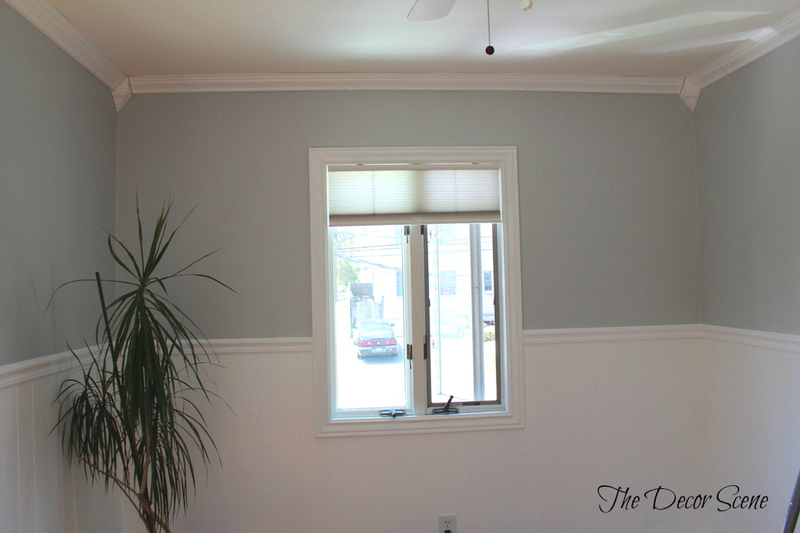 So we painted all the walls and then started to put up the crown molding. 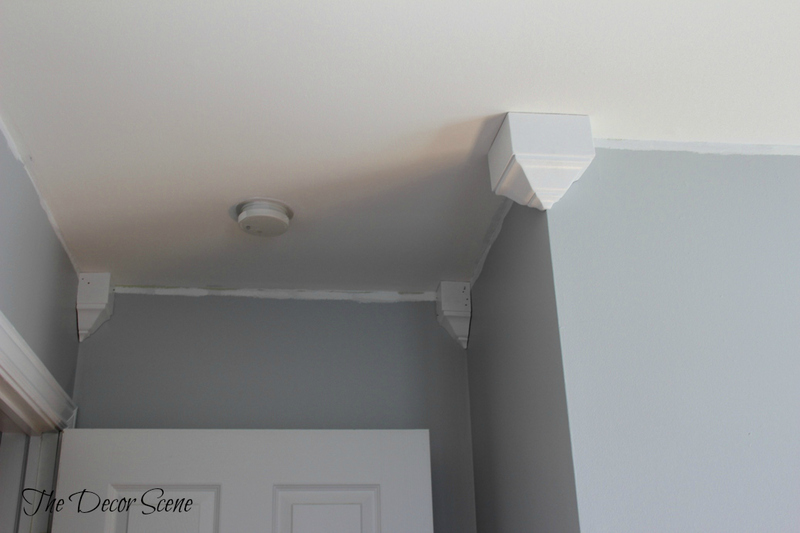 We did the same molding in our Family Room. It makes it so much easier with the “blocks” in the corners then trying to miter all the corners. At least for us, we think it’s easier. Plus we like how the blocks look. Then you just have to install the crown. Measure in between blocks and make straight cuts. Goes up a lot quicker. We love how it turned out. 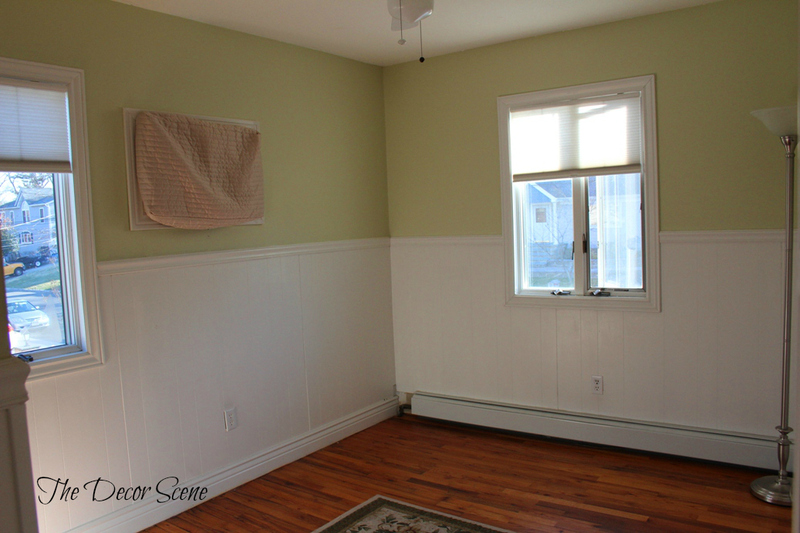 Now to get the rest of the rooms in our house done with crowning molding. We just had to caulk all the seams and do touch up painting. Then we were done. Caulk is always your best friend with projects like this. It fills in anything that is uneven or if you don’t have straight walls. 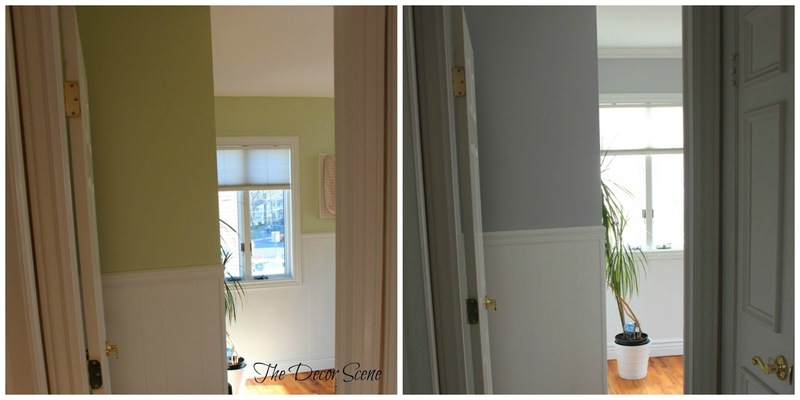 It gives your crown molding that professional look. I have some close up pictures of the caulking project, but I will save that for another post. Let’s take a look at the change the closet went through. We were using this closest for our winter coats, dresses, curtains & my extra shoes. There was also misc stuff up on the shelf above the rack of clothes. We had to find room in the rest of the house for all this stuff. So I purged first, made some donations and put the remainder in other closets. So here is the closet emptied of our stuff. We painted it a fun turquoise color on the inside. 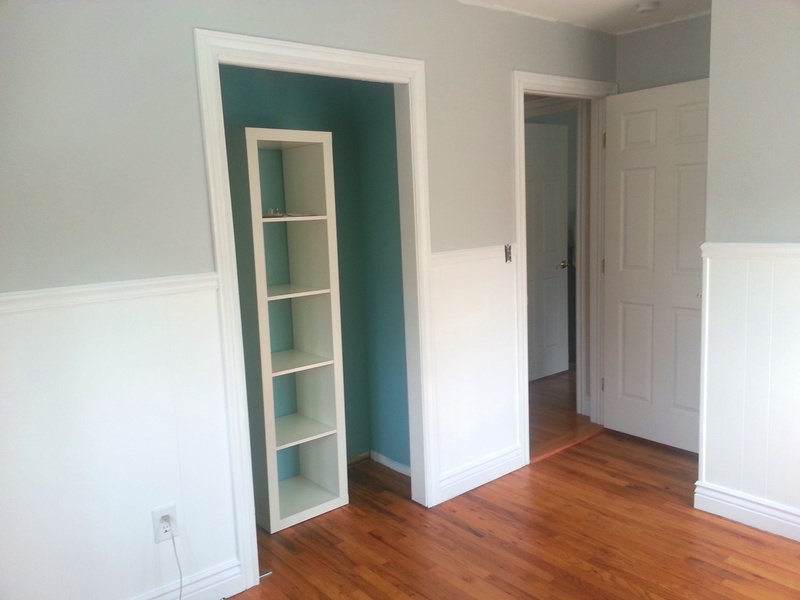 Benjamin Moore “Spirit in the Sky” color matched to Valspar paint. 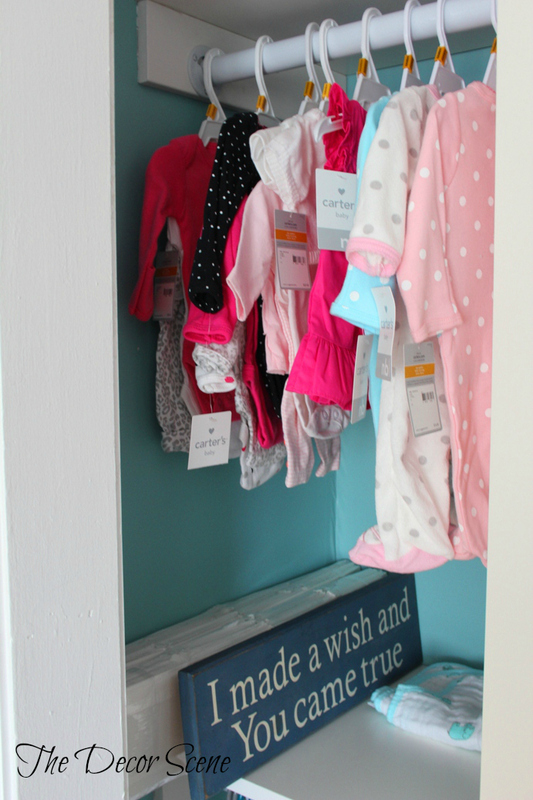 I will be bringing in Pink & Turquoise into the nursery in other ways with decor and bedding. 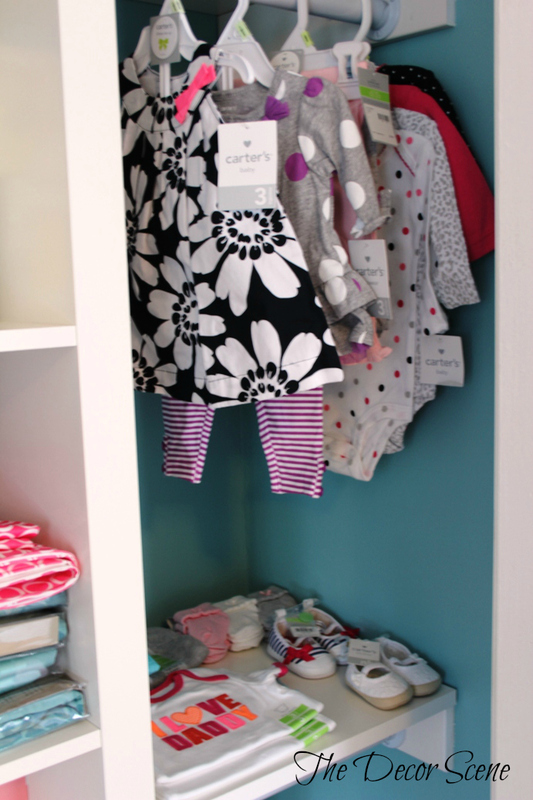 To make the closet organizer we purchased different pieces from two different stores. We bought the Ikea Expedit for the main piece of the organizer. Then we went to Lowe’s to buy one long metal clothes rod that my husband cut down to size for each four sections. We also bought one large prefinished white shelf and cut that into three pieces. One long shelf on top and two small shelves on the lower level of rods. Let’s see some before and afters next to each other. I love the grey instead of the green. 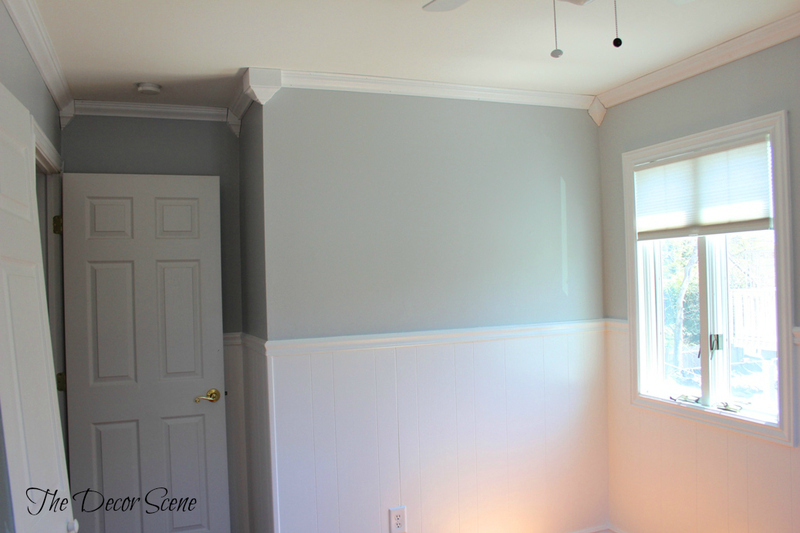 I could have done a green & pink nursery, but I just love grey right now and I’m so glad I made the decision to repaint. 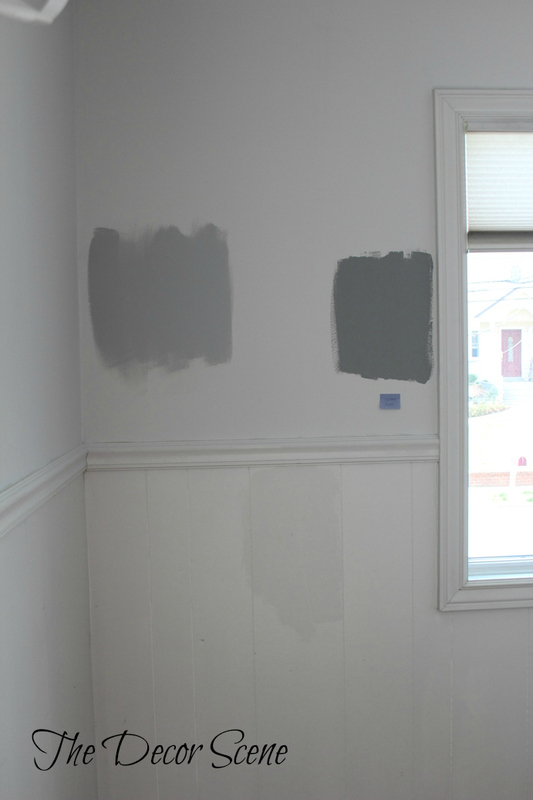 The grey can be paired with any other color in the future as our little girl gets older and wants something different then pink or turquoise in her room. It will be fun to play around with different colors in the future. 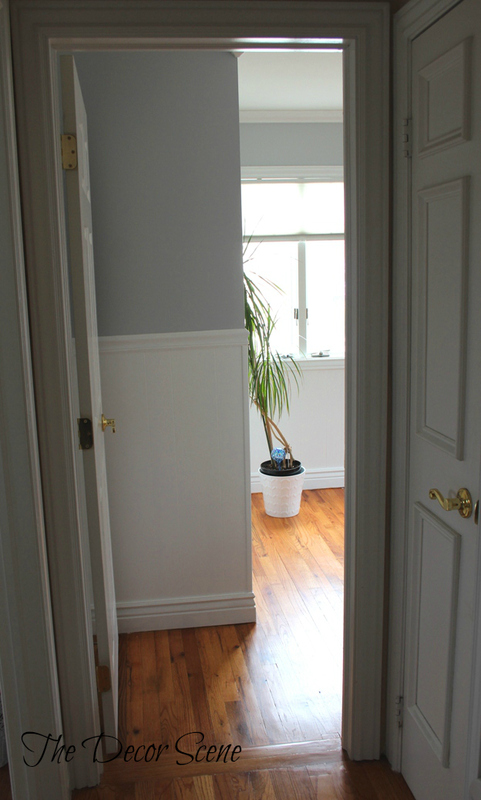 This is a view from the hallway. I love seeing the grey instead of the green. Next up we will be putting together the dresser we bought from Ikea. I have seen so many nurseries with this dresser in it and it seems so functional for a nursery. I can’t wait to fill it up and organize it. If you want to check out other posts about the nursery you can check them out here, here and here. I’m Back and with some GREAT News!!! I love love love it Jen! 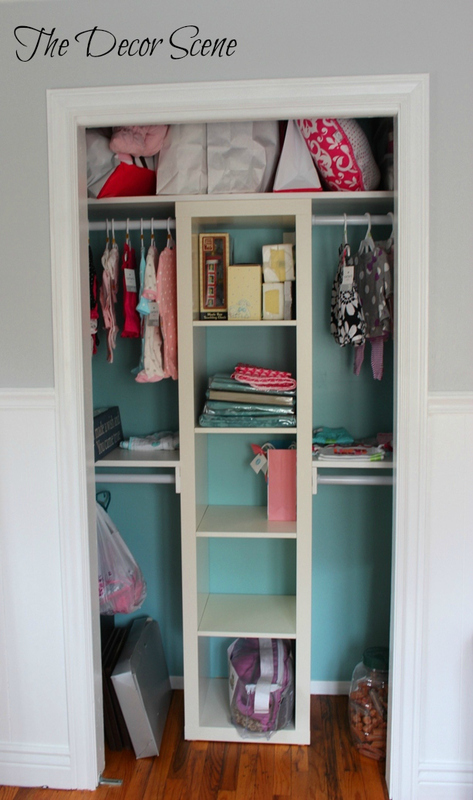 I love the grey and the pop of turquoise in the closet. 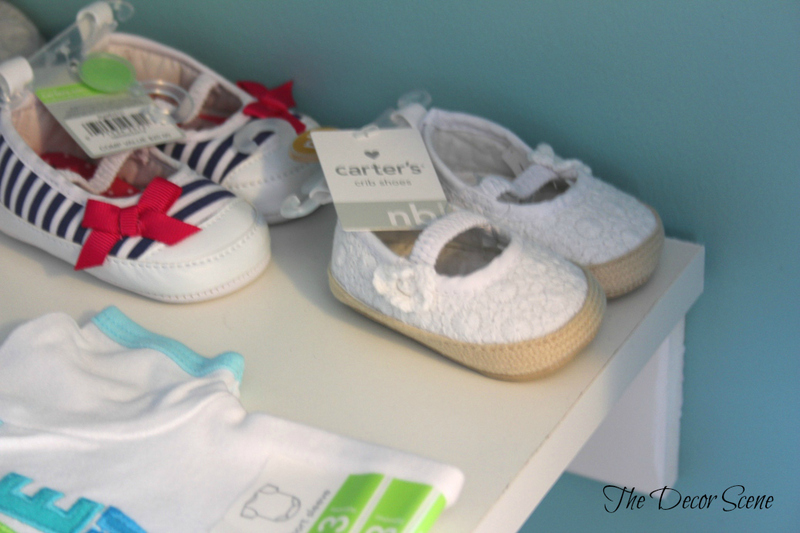 And her wardrobe is so adorable already – I can tell you love Carters too, like I did! I was so sad when my girls got too big for most of their stuff because its the cutest! I cant wait to see the real after and see pics of the little miss! Hi Sarah. Awwwww thank you. 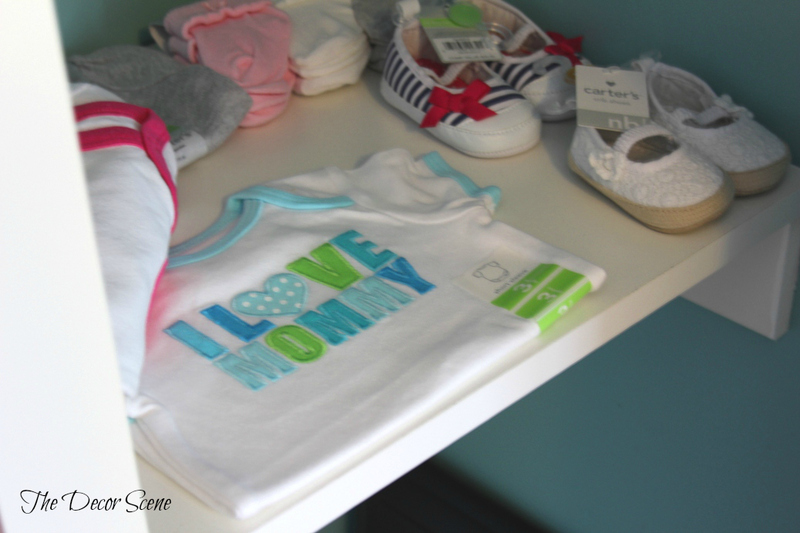 Carters is awesome, I always find cute stuff for gifts for my nieces as well. I will shop there until our little one grows out of the store.